With an average of 27 deaths or severe injuries related to traffic accidents per mile, White Plains Road in the Bronx is one of the most dangerous roads in New York City. 8 people died in crashes between 2007 and 2014 and it was identified by the Vision Zero Program as a High Crash Corridor. The intersection at White Plains Road and Morris Park Ave figures in the top 20 High Pedestrian Crash Locations in NYC. Last week the Community Board 9 voted unanimously in favor of a proposal of the New York City Department of Transportation to revamp the road to make it safer. 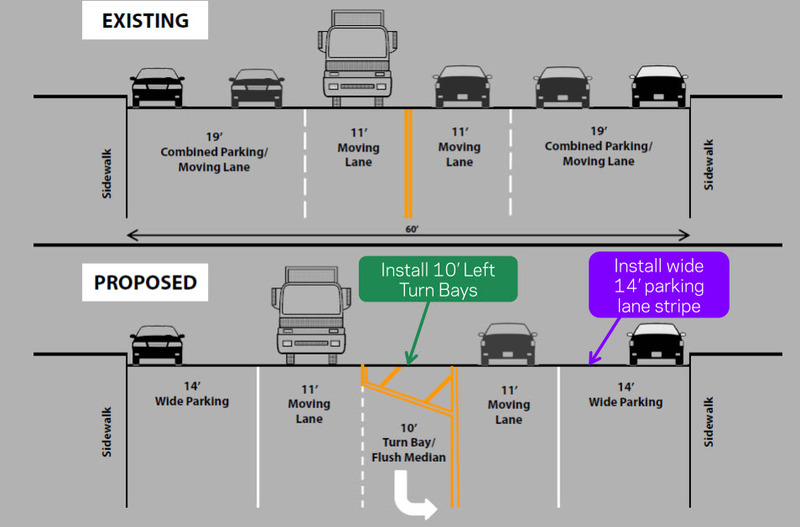 The changes include modified parking lanes and the addition of a left turn bay to reduce speeding and better organize traffic.